Sure, members of your IT department would love a paid vacation to the San Francisco Bay area, but sometimes you need someone on-site in 20 minutes. We have numerous clients who's IT department is located outside of California (or in southern California) and have a branch office in the San Francisco Bay area that need network support. Just as important as getting their technical issues resolved is making sure they get the kind of service that makes them think that you did send one of your own to their site. Tier 1 - Managed Network - you pay a flat monthly fee to have us make scheduled weekly visits to your branch office location to take care of any service calls and check on your servers, infrastructure equipment, etc. Tier 2 - On-call via your Branch Office - Your branch office contacts us directly to schedule service, just like the rest of our local customers. Tier 3 - On-call via your IT Department - Your internal IT department is the first line of defense. They try to address the problems first, if they need us to go on-site they call and schedule a visit. Have a ticketing system you want us to use? Just give us access to it or another process that you prefer and we'll make it part of our routine when we visit your branch office site. FastServers.net - Web-host located in Chicago with several hundred servers in their Fremont, California colocation facility. We provide 24x7x365 on-call hardware support with a 2-hour turnaround and keep it all updated in their ticketing system. Seacastle, Inc. - Located in New Jersey, Seacastle's IT department dispatches Halcyon to provide on-site IT support for their headquarters in San Francisco. Alliance Imaging, Inc. - Alliance Imaging is headquartered in Anaheim, California and provides mobile PET and MRI coaches to hospitals nationally. 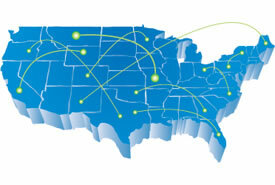 We represent Alliance Imaging to their customers (the hospitals) in the Bay area, providing on-call support when the mobile coaches experience network connectivity issues. FRSTeam - FRSTeam is specializes in fabric restoration services and our role with them is slightly opposite. We manage FRSTeam's network at their headquarters in Hayward, California, but also provide remote IT support to some of their multitude of branch offices throughout the United States. Pacific Legacy - Cultural resource management firm headquartered in Santa Cruz, California with 3 branch office in California and 1 in Hawaii. We manage their entire network and provide hardware support as well, utilizing their tech-savvy staff members when practical.